Hansar (Kenya) Ltd is a printing company started in 2007 and is a 100% owned by Kenyans.We are engaged in providing printing services to the customers at the most cost-effective rates. 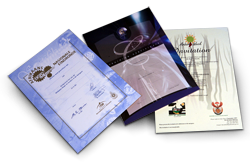 Our printing services are highly sought after for their top-class quality. With the assistance of highly qualified and experienced professionals, we are able to print eye-catching images with latest printing techniques. Our Printing Services are in high demand as they are prompt and offered at the most cost-effective rates. Vision: To be the undisputed Printing and Branding market leader in the region. Mission: To provide our clients with the best printing and branding solutions through innovative operating systems.